Is that the new Santro? ", inquired a gentleman at a traffic signal. You could see from his eyes that he was mighty impressed with what Hyundai has done with the new-gen offering. He insisted on seeing the car in detail and made me pull over. As soon as he got inside the car, it is the space and the features that impressed him. "Abhi kaafi modern lagta hai" (It feels more modern now). My previous long-termer was the Hyundai Xcent and I was extremely happy with its stress-free ownership. Obviously, my expectations from the new-gen Santro are similar. We have the Sportz trim which is the top-spec AMT variant priced at Rs 5.46 lakh, ex-Mumbai. Compared to the Asta variant, this one misses out on passenger airbag and rear parking sensors with camera. However, the Asta variant, which is Rs 18,000 more expensive, can be opted with a manual transmission only. 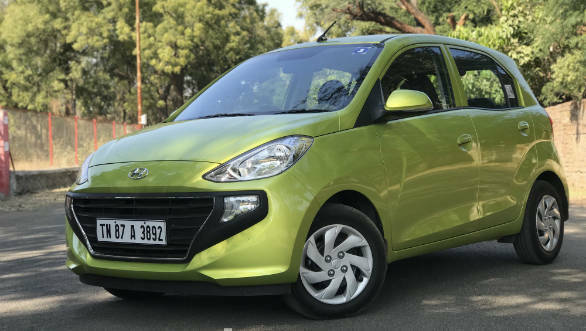 Among the things that I have liked is the Diana Green shade that makes the Santro look more funky and modern with connectivity options such as CarPlay, Android Auto and Mirror Link, premium design of the dash, especially the AC vents and lastly the spacious cabin. Not to forget, the smooth 1.1-litre petrol engine paired with the AMT unit which is an absolute delight in the city. The only bit that I am not convinced about yet is the overall design of the Santro. It brings out mixed feelings, every time I see it. Perhaps, I will get to used to it. Also, I have decided to name it Bugsy. The inspiration is from its headlights and the roof design. 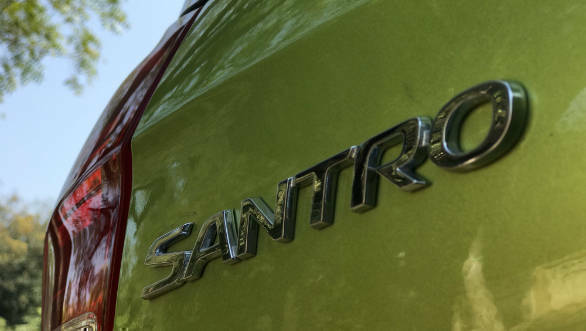 Let's see how the Santro performs over the course of a year. 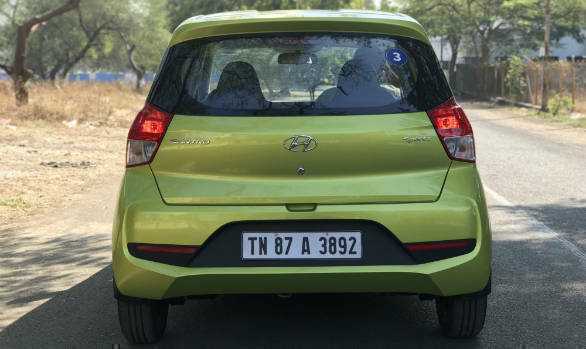 Can Hyundai's first-ever AMT unit maintain its cool in dense Mumbai traffic?